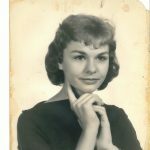 Julia Ann Smith, age 76 of Granbury, Texas, passed away on Monday January 14, 2019. Service: 10:00 A.M. Friday January 18, 2019, Martin’s Funeral Home, Chapel; Interment: Acton Cemetery; Visitation: 6:00 – 8:00 P.M. Thursday January 17, 2019, Martin’s Funeral Home. Julia was born on February 23, 1942 in Weatherford, Texas to Julia and Bert Carter. Julia was a loving Wife, Mother, Grandmother and sister. She was preceded in death by her parents; brother: Larry Carter; niece: Michelle Collins and nephew: Carl Allan Sims. Julia is survived by her husband: Dudley Smith of Granbury; children: Jamie Cummings and husband Joe of Granbury, Dudley Smith, Jr. of Granbury, Cody Smith and wife Nikki of Abilene; grandchildren: Leslie, Dudley Jared, Tara, Christian, Tayler, Samantha, Dylan, Faith, Brittany, Wesley; great-grandchildren: Alliana, Brentley, Tristan, Julia Rose, Crystal; siblings: Pat Simms of Kirbyville, Deborah Dodds of San Angelo, James Carter of Lipan and Barry Carter of Abilene. Arrangements made by Martin’s Funeral Home. Aunt Judy ALWAYS treated me as her own from the beginning when I 1st met her! I will ALWAYS love her and now forever miss her! I Love You Aunt Judy! Thank you for always loving me and showing me so much love! Rest Easy You Beautiful SOUL!!! <3 Sorry I am just now putting this on here I didnt know this was available. All of us at the Hood County Senior Center/Meals on Wheels are sending prayers and thoughts to you all. Our hearts and condolences are with you all. I was blessed to call her Aunt Judy. Thank you for all of the childhood memories exploring the land with the cousins,thank you for being the glue that held the family together, thank you for the little green frog song, thank you for always sounding so excited every time I saw you and every time you saw anyone, thank you for how much you loved everyone without question. I will miss the cousins luncheons with you and would give anything to go to just one more. Forever love and will miss you.